At the beginning of last semester, I was toying around with illustrating "The Shoes that were Danced to Pieces" (sometimes "The Twelve Dancing Princesses"). 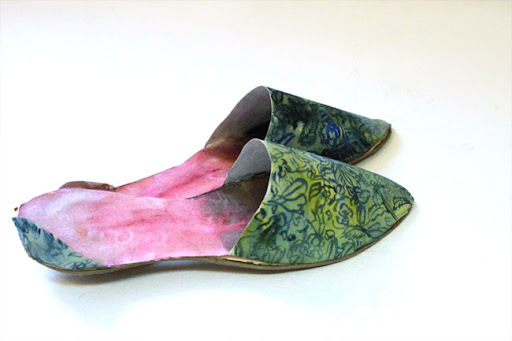 Around the same time, Ullabenulla, one of my favorite bloggers, was posting about beautiful shoes and a class she taught on making paper shoes. 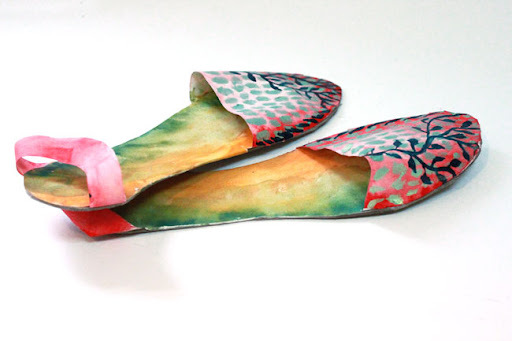 These are the paper shoes I made as part of this project. 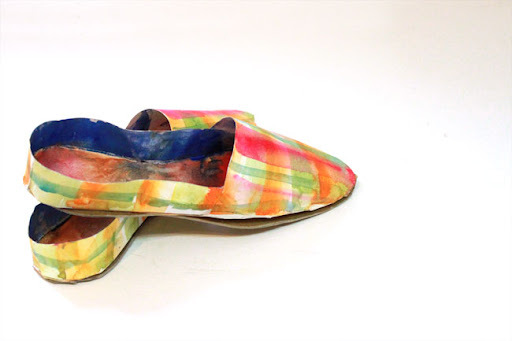 I go back and forth about coming back to these... making all 12 pairs of shoes, or making 100s of pairs of shoes, wearing the shoes, making shoes out of washi paper or papier mache...but for now, here are my favorite shoes from that currently-abandoned endeavor. The painted design on the 4th pair is especially delicate. I'd like to dance in them! Some of the colors and the bleeding of said colors is like painting by Anti Pasta. 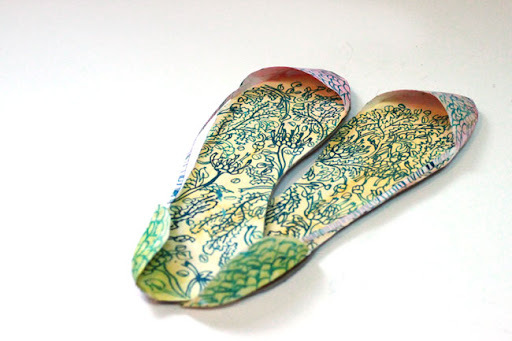 Love your imagination - dancing paper shoes!